The Green Lanterns have taken their name from the comic book. In Second Life they are the neighborhood watchers. They dress like the original Green Lanterns original comic characters and patrol the grid to assist residents off griefers attack and help new residents. Over the years they have filed several reports to Linden Labs. They also play a role in training the land owners about security arrangements. They offer free training and uniforms to members who wish to join the force. They have started maintaining a live help chat since June, 2014. Here is the link http://lanternalliance.com/irc.htm. No extra Hud or group space is required; no chat interface, just a log in and you are good to go. SL peacekeepers monitor this channel. In the past few months you might have heard of a link that seem to take to the market place, but instead it has hacking the profile passwords and withdrawing large amounts. You would always hear these from group chats or notices. One such threat I heard, and would like to share with you. If you hear any of the sorts or any other griefer, do not forget to call the Green Lanterns. To know more about them and their work process, I contacted, the founder, Hal Jordan, Green Lantern Excelsior and I had the honor of speaking with him. Debby Sharma: How has 2014 been in terms of security? Hal Jordan (Green Lantern Excelsior): We have not seen the large amount of organized group griefing that has plagued SL in the past. The gigantic problem that seems to be catching many people off guard is a phishing scheme where people get their accounts hijacked, and the hijacker sends out links to a fake SL Marketplace website where residents might carelessly enter their SL username and password. It's too bad people fall for that. Debby Sharma: What steps are you taking and what steps should we take to prevent that? Hal Jordan (Green Lantern Excelsior): I have seen blog entries and group notices several times about this issue. In some cases it will be a caution to not click on links sent out from some specific person, and in other cases it will be a general "beware" notice to be careful what links you click on. I don't know if Linden Lab has sent any messages about this problem. It is difficult to educate everyone about schemes like this, because there are so many bogus urban legend notices going around that sometimes it's hard to tell which is a legitimate problem and which is just something made up to slander another resident. I've seen notices cautioning people not to click on links or accept items from some specific resident because they will steal all your Lindens or send a virus to your PC or some other incredible claim. I think some of those are just people having a feud with another resident and trying to besmirch the other person's reputation. If people would just take the time to look at an Internet address and make sure that it really goes to secondlife.com, many of these problems could be avoided. Debby Sharma: I wanted to ask, do you give training to land owners, if so, is there any schedule for classes? Hal Jordan (Green Lantern Excelsior): I have a 2010 griefer presentation that covers parcel security. I haven't made up a schedule for doing training because people haven't been asking me to train them. The presentation is here: https://sites.google.com/site/herouniversepeacekeepers/parcel-security. I would be happy to go to people's parcels and help them with their security if they are interested. We never charge for any of our services, so it's all free. Debby Sharma: There are levels at the landmark, each level as a specific color, what do they denote? Hal Jordan (Green Lantern Excelsior): In the Green Lantern comics there was a story line around 2009-2010 that created several different types of Lanterns beyond the green variety. The story was about the "emotional spectrum" associated with each type of Lantern. The Green Lanterns operate on the emotion of willpower, since their power rings can create anything their minds can imagine. The other spectrum colors operate on different emotions, rage (red), greed (orange), fear (yellow), hope (blue), compassion (indigo), and love (violet). There is also black, representing death, and white, representing life. Debby Sharma: Do you have departments for each? 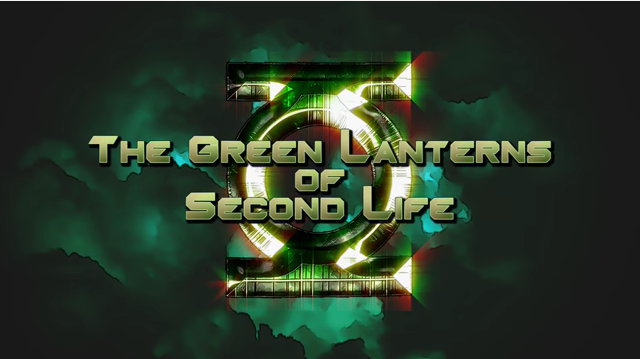 Hal Jordan (Green Lantern Excelsior): We have the entire Lantern emotional spectrum groups represented at http://lanternalliance.com/, along with several other affiliated peacekeeper groups. We are all on the same side and generally we have the same goals, to help Second Life residents, whether it be reporting griefers, helping new residents, or assisting venue owners with security. Debby Sharma: I was looking at the application of The Green Lanterns, what specific skills does one require to be a member? Hal Jordan (Green Lantern Excelsior): We have a wide range of skills that people can use everything from negotiating with griefers to helping new residents to event security. Talents in scripting, building, creating clothing and everything else associate with SL is welcome. The only requirement we have is that a new member must be 180 days old in Second Life, but we have discussed that and decided that a resident can be an associate member from day one if they want to. 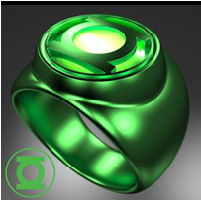 We just can't give them a free Green Lantern power ring until they're 180 days old. Debby Sharma: What would be the new projects for 2015? Hal Jordan (Green Lantern Excelsior): We have discussed creating a welcome center for new residents, with freebies and notecards and links to helpful websites. The idea is in its infancy at the moment but we have enough members that we should be able to create something of value. We are all about helping people and this is just another way to do that.